Ford introduced the new E-Series at the New York Auto Show in March 2007. 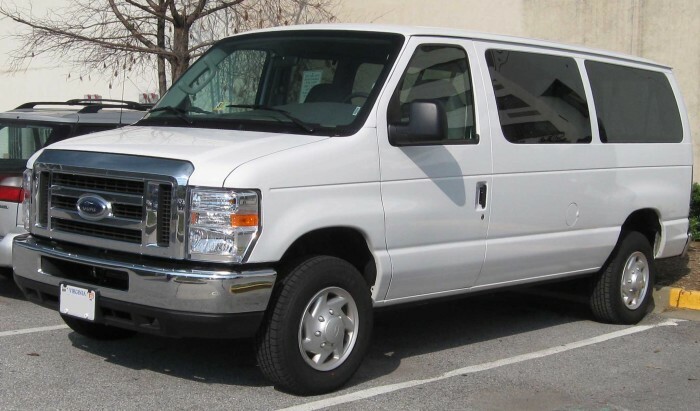 The van received completely redesigned front end sheet metal similar to that of the 2008 Ford Super Duty trucks. It has been overhauled with better handling and more payload. 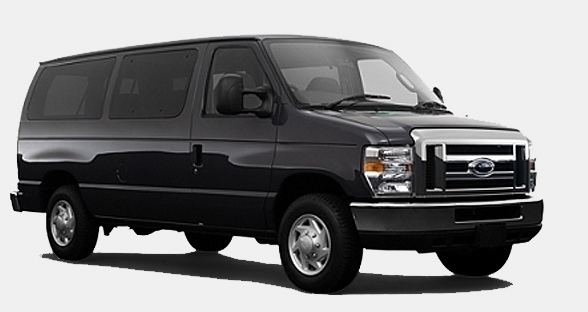 Updates to the front end of the van include larger headlights, a larger grille, and a longer hood than previously used on E-Series and Econoline vans. The 6.0 L turbo diesel is retained on the E-Series, while Super Duty received the new 6.4 L twin turbo diesel. Gasoline engines carried over. A series of upgrades to the braking, suspension and steering systems have resulted in improvements in ride and handling, braking performance and load carrying capability, although the Twin-I-Beam front suspension remains. Four-wheel drive is available through Ford Fleet Truck using current model year Super Duty parts. The E-150 has a NHTSA rollover risk of 27.9%. The chassis and suspension improvements have also resulted in an increase in the maximum gross vehicle weight rating (GVWR) from 14,050 lb (6373 kg) to a class-leading 14,500 lb (6577 kg). Additionally, the maximum front gross axle weight rating (GAWR) is increased by about 10 percent, from 4,600 lb (2087 kg) to a class-leading 5,000 lb (2268 kg). In 2009 the E-Series received a new dashboard, complete with Ford’s new Sync system, available in-dash navigation and upfitter switches as used in the F-Series Super Duty trucks. Also included is a passenger-side glove compartment, a first for the E-Series; previously, the glove compartment was integrated in the engine cover. 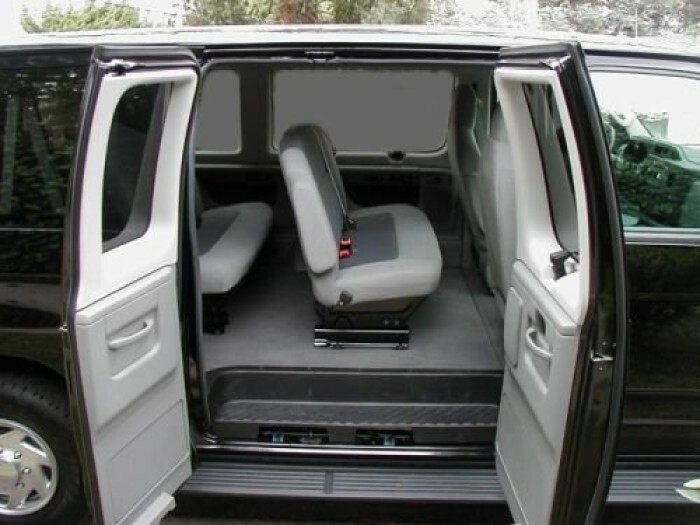 Another new 2009 option was the rear-view backup camera, which is becoming widely available throughout the industry on smaller vehicles; it is another first for Ford in the full-size van field. 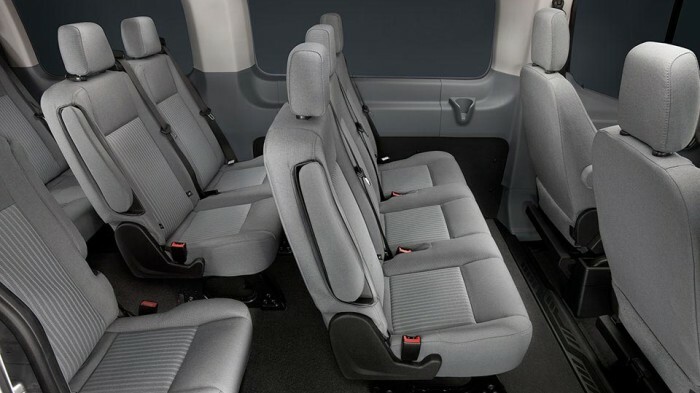 Ford is the first automotive manufacturer to offer a full-size van that is capable of using E85; this option is most commonly available on Ford’s F-150 with the 5.4 L engine. It was available on the 2009 4.6 L and 5.4 L engines. The 6.0 diesel was discontinued at the end of the 2010 model year. There was no diesel replacement for the 6.0 and the 6.8L V10 takes its place in the engine line up. Ford did not offer the new 6.7 diesel found in Super Duty trucks due to space limitations.It is unconfirmed whether this means it physically does not fit or there is not enough space to cool properly.